Worth having now courses are getting very wet. This model is only for motocaddy trolleys with down hill control (dhc) as they need to be able to slow the trolley down as well as drive it forward. 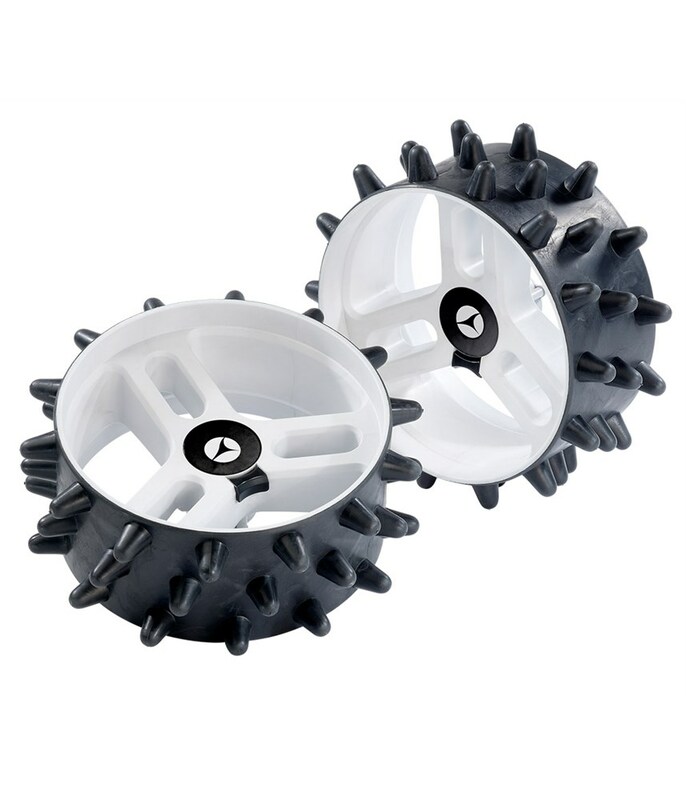 The Motocaddy DHC Hedgehog Winter Wheel set will allow you to use your trolley through the wet season by greatly reducing turf compression. 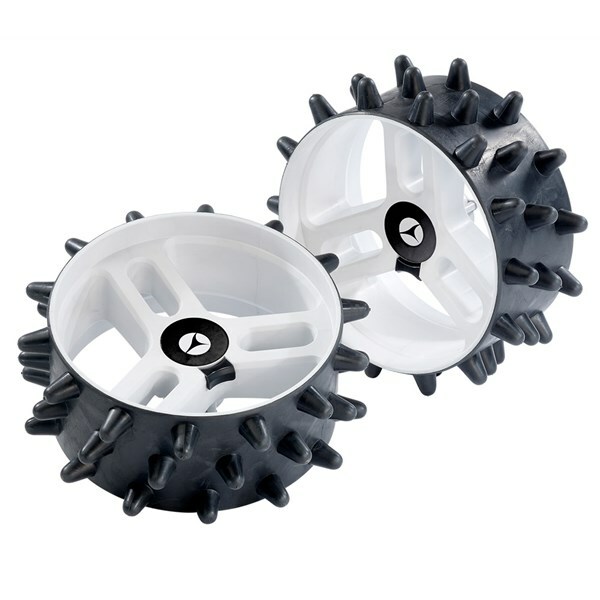 Motocaddy have developed these wheels in conjunction with Hedgehog golf, the wheel design is durable and hardwearing and features a unique anti-skid tread design that is so much more ground friendly than traditional wheels in wet weather. The quick-release mechanism will allow you to remove the wheels instantly should you need to clean the wheels or make you trolley more compact. Note: This particular version is only compatible with the “DHC” models. Please Also Note: If these wheels are used on a remote S7 trolley, the trolley can only be used in standard mode and not remote controlled when the Hedgehog wheels are on.